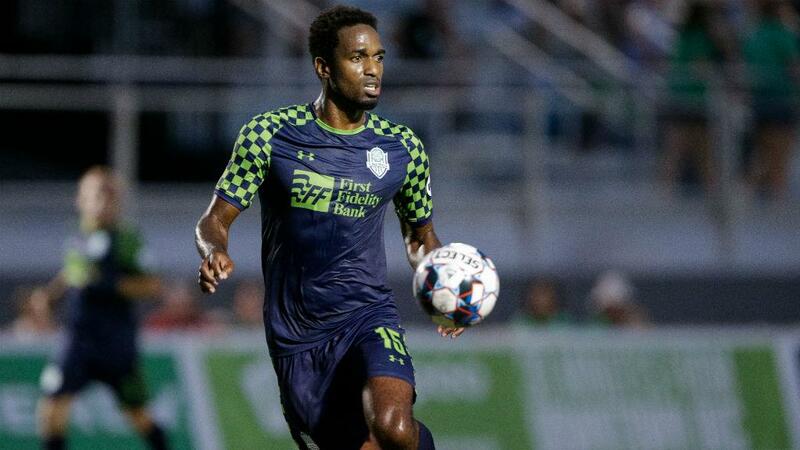 OKLAHOMA CITY – On Thursday, OKC Energy FC announced it had re-signed defender Atiba Harris to a new, multi-year contract after a successful first season with the club. Harris joined the club in June 2018 and made 14 appearances in his debut season, recording 63 clearances, 34 interceptions and helping keep five clean sheets. A 12-year MLS veteran, Harris played 276 matches in the U.S.’s top division, most recently with FC Dallas, where he made 85 appearances and scored five goals. He also has MLS experience with Real Salt Lake, Chivas USA, Vancouver Whitecaps, Colorado Rapids and San Jose Earthquakes. In addition to his vast MLS experience, Harris is the captain of the Saint Kitts and Nevis national team, scoring 10 goals and earning 40 caps for his native country. He is also currently a finalist for Concacaf’s male defender of the year. ALSTON RETURNS TO ORANGE COUNTY: Orange County SC also brought back a defender on Thursday as the club announced it had agreed to terms on a new contract with Kevin Alston, pending league and federation approval. Terms of the deal were not disclosed. Alston played a key role in helping OCSC finish atop the 2018 Championship Western Conference standings. Last season, he appeared in 23 games for the club and recorded 37 clearances, 26 interceptions and won 86 duels. Alston also has plenty of MLS experience, having made his debut in the top flight with the New England Revolution after he was drafted by the club with the 10th overall pick in the 2009 MLS SuperDraft. He is a former MLS All-Star and has made more than 170 appearances in Major League Soccer playing with the Revolution and Orlando City SC. NCFC RE-SIGN DA LUZ: After introducing Dave Sarachan as the team’s new Head Coach earlier in the day, North Carolina FC announced that it was bringing back veteran midfielder Austin da Luz for the 2019 USL Championship season, pending league and federation approval. Da Luz returns for his eighth season with the club, having racked up 162 appearances, 12,422 minutes, 21 goals and 20 assists across all competitions. The Winston-Salem, N.C., native is expected to be an essential piece of the team’s midfield and will once again be relied upon for the upcoming season. SACRAMENTO SIGNS SAARI: Sacramento Republic FC also bolstered its roster on Thursday by announcing the signing of midfielder Ray Saari to a USL Championship contract for the 2019 season with a club option for 2020, pending league and federation approval. Saari joins Republic FC after spending the last two seasons with USL Championship side Seattle Sounders FC 2. The central midfielder, who made his professional debut for S2 against Republic FC in March 2017, appeared in 39 games and recorded four goals and six assists during his two seasons in Seattle. He also played for MLS side Seattle Sounders FC during each of the club’s three Lamar Hunt U.S. Open Cup matches over the past two seasons. Prior to his arrival in the Pacific Northwest, Saari enjoyed a stellar collegiate career at the University of Tulsa. The Kansas City native netted 12 goals and 12 assists during his 69 appearances for the Golden Hurricane, helping the side to three consecutive American Athletic Conference championships. His performances earned him a pair of All-Conference Second-Team selections in his sophomore and senior years.